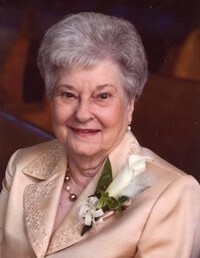 Geneva Campbell Anderson, age 88, of Lawrenceburg, TN passed away Tuesday, November 27, 2018 at Country Cottage in Lawrenceburg, TN. She was a native of Giles County, TN, and retired inspector from Salant & Salant. She was preceded in death by her parents, Dewey Virsel and Willie Mae Smith Campbell; her husband Jess Anderson; three sisters, Colleen Tweedy, Sybil Curtis, and Shirley Grinnell; and one brother, J. D. Campbell. Arrangements are being handled by Neal Funeral Home, 231 N. Military Avenue, Lawrenceburg, Tennessee. The family will receive friends from 9:00 AM to 11:00 AM Saturday, December 01, 2018 at Neal Funeral Home. Funeral services will be conducted at Neal Funeral Home at 11:00 AM Saturday, December 01, 2018, with James Tweedy officiating. Interment will follow at Lawrence County Memorial Gardens in Lawrenceburg, TN.